Barry Zogon Band perform the song TV Genesis live at Ruby Room on 5 July 2015. Come and see the works of the almighty Barry Zogon live at Ruby Room in Shibuya on July 5 along with some other great mind-expanding music. 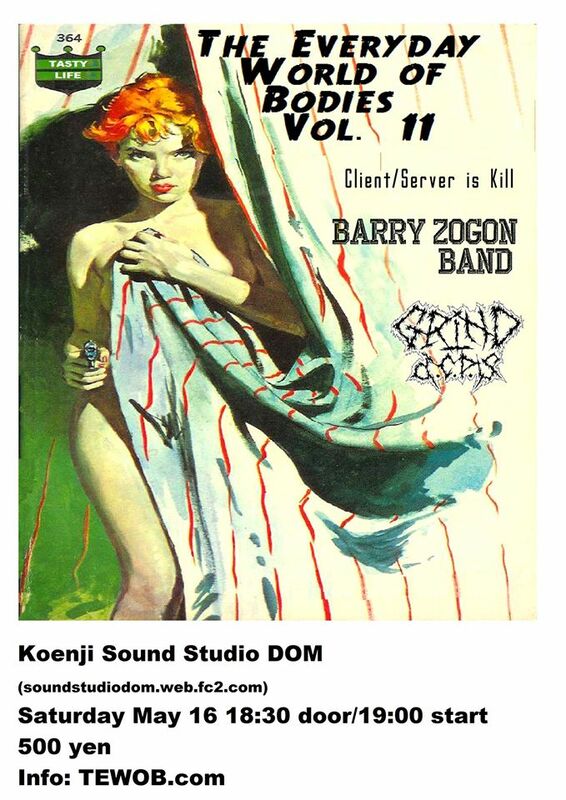 Grant, Craig and Tatsumi’s new project Barry Zogon Band are playing their third gig and first show of 2015 this Saturday May 16 in Koenji. It will be a blast!